Veterans Day Thank you to all the veterans out there. Valarie at W25, Stub (and “the rib) at OBOC, Marci, Chris Wright at Pikes Peak, Jeff Burrows of Food Wine Click, and all the others we are forgetting to mention. Take a moment this weekend to thank a veteran that you know. 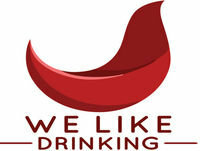 Más del programa: We Like Drinking - Hilarious beer and wine talk.